Welcome to Red Conrad’s Wellness Alternatives. New Sales Every Week! Join our email newsletter for exclusive offers. 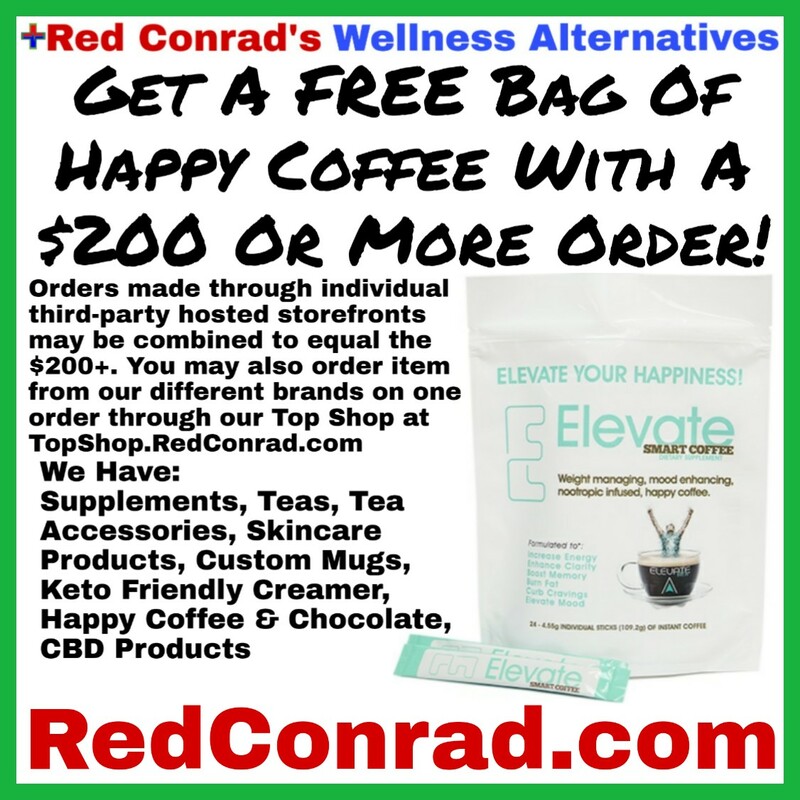 Here at Red Conrad’s Wellness Alternatives we strive to make health & wellness affordable for everyone. Need help locating a product? Email Red@RedConrad.com or message us through Facebook. All products are only premium quality, non-GMO and Organic products I use and trust. All products found here are the highest quality at the best possible pricing. Some brands you may have heard of before, and other brands may be new to you; but you won’t find any of these amazing brands and their products in your local supermarket. We’re always adding more brands and products, so be sure to bookmark this site and check our blog and podcast often for the newest products, health tips & news, and recipes. Our Products Are Available For Wholesale To Supply Your Business! Sell these amazing products in your store or office. Email Red@RedConrad.com for details and pricing (Terms apply). When you purchase from us, not only are you getting top quality at affordable prices, you are also helping put quality health foods and products in the hands of needy families through our Wellness Fund!